Set up after a peace conference of Quakers in the North in 01/1913, the Northern Friends Peace Board (NFPB) has undertaken a variety of work with and for Northern Friends, supported by funding and representatives from throughout the North of Britain. When, a couple of years ago, NFPB members began to think about the centenary of NFPB they were clearly excited by the opportunity it seemed to present for celebrating the work that has been done and raising our profile. Since then, a small group has met every few months to sift through the ideas and put together a coherent programme of activities and resources. 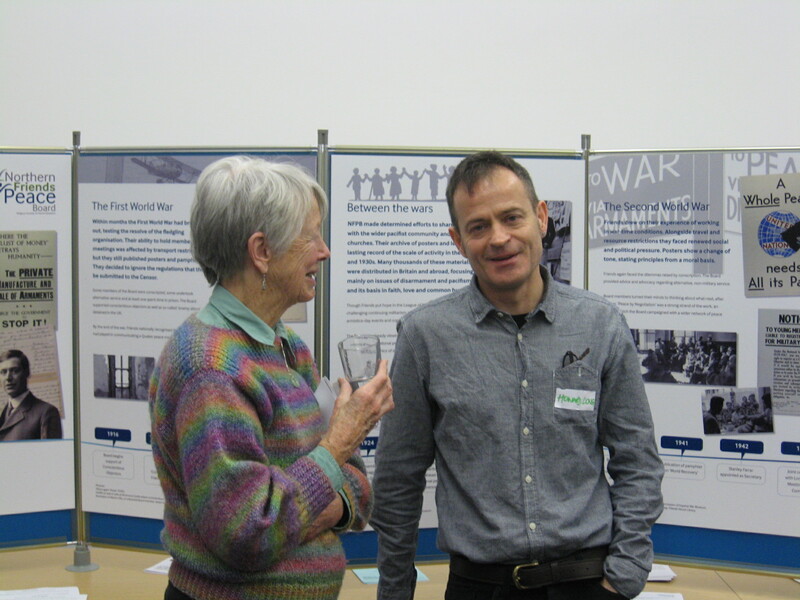 Jo, a NFPB member from West Cumbria Quakers with Howard, from the family of the first NFPB secretary. Photo: NFPB. There is still a little way to go before all of these come to fruition, but we were pleased to be able to put on a celebratory afternoon earlier this month. The event took at the newly refurbished Manchester Meeting House and brought together past and present NFPB members and workers, supporters and interested enquirers. The first secretary of NFPB, Robert Long (serving from 1913 to 1942) was represented by three of his grandchildren. For me, having worked as co-ordinator for 22 years it was something akin to a family reunion. Friends speaking at the gathering in Manchester talked about the early challenges of the first world war and of supporting conscientious objectors through to the cold war and more recent conflict. The 70 Friends present also heard how the board’s work had encompassed broader aspects of peace, recognising the roots of conflict in injustice, for example. A pack of materials relating to the centenary is being prepared for Meetings, which will include a booklet launched on the day of our celebration. An accompanying exhibition was also on show and will be available in a variety of formats for Friends to use. Information about activities and resources relating to the centenary is being regularly updated on NFPB’s website at http://nfpb.org.uk/projects/centenary. A key time for me in preparing for this year was the day I and a colleague spent in Leeds, going through our archives and reading and making notes from past annual reports. Whilst some of the text is inevitably prosaic and descriptive, there are more personal/spiritual reflections throughout. Cumulatively, the work is inspiring and impressive in its scope. 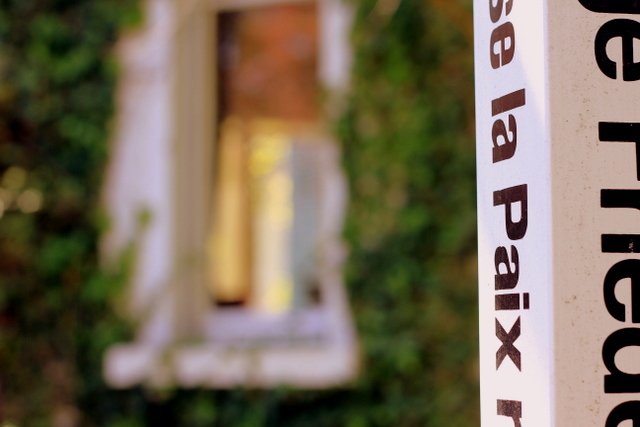 Some of the more reflective text is profoundly moving, giving a good feel for the passions, challenges, insights and vision that has driven Friends’ collective and individual commitment to this particular piece of peace work. The following is just part of a leaflet written by Robert J Long on the outbreak of war, 6 August 1914. Now is not the time to apportion the blame. One thing however, stands out clearly – this is not a people’s war. It has its origins in the military bureaucracies of the Powers, in the mutual suspicions of diplomatists, in the cynical self aggrandisement of the war lords. The Russian peasant and the German artisan are pawns in the deadly game of their governors. The English business man and labourer alike are suffering because of movements in high quarters upon which they have never been consulted. What-then must be our policy at the present moment ? Philip Austin is Northern Friends Peace Board coordinator.